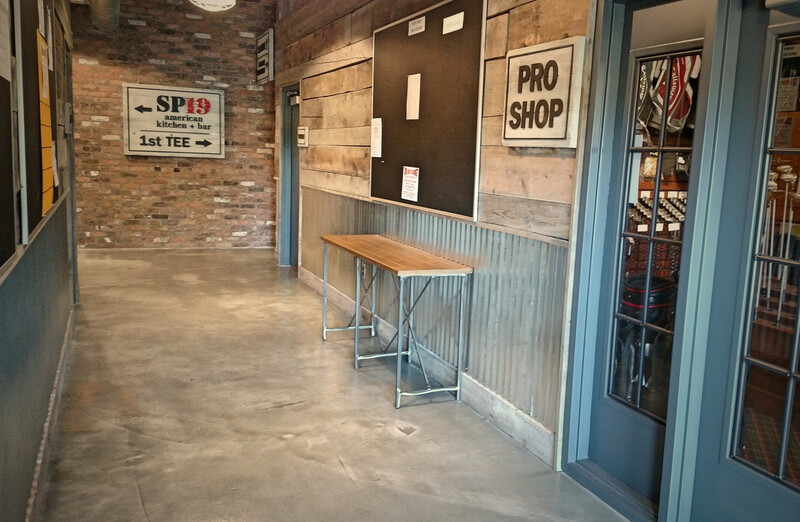 Stamped overlays and colored stains can turn ordinary concrete into a decorative finish. Have you ever visited Disney World or Las Vegas? Did you wonder how they made the concrete sidewalks look like cobblestone, or the concrete driveways appear as wood planks? Theme parks and casinos are masters of disguise, and they often use stamped overlays and colored stains as their vehicle for deception. Stamped overlays come are available in a variety of patterns; brick, cobblestone, slate, and many others. They are created by placing a portland-cement based overlay on sound concrete. The overlays are often pigmented in the base color of your pattern. A series of stamping tools are sprayed with a colored release agent and placed on the overlay. The release agent adds color and highlight to the base. When the stamps are removed, the overlay is allowed to dry. 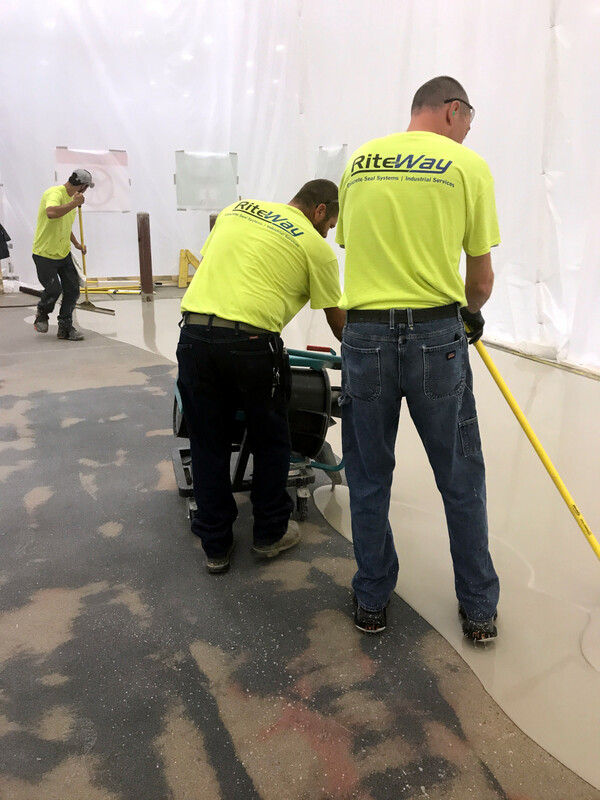 All excess release agent is removed and the floor is highlighted and sealed with an acrylic agent. 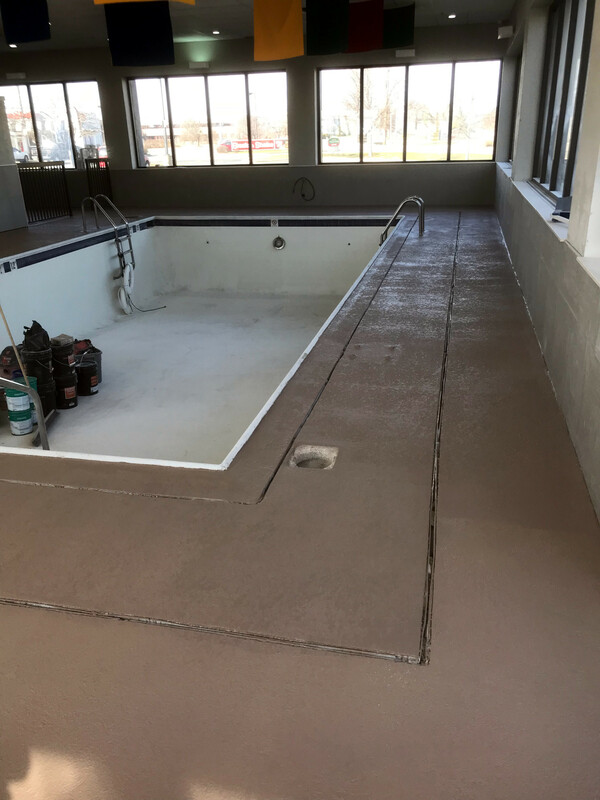 Concrete stains have become very popular in environments where a "mottled" appearance is required. The stains are acid based, and laced with copper or iron oxides. The acid serves as the vehicle to drive the metallic oxide into the concrete. All copper base stains will yield variations of blue and green, while the iron based stains will yield browns and deep orange tones. Tom Wood Volkswagen, 96th Street, Carmel, IN. Common area on mezzanine and their corporate conference room. 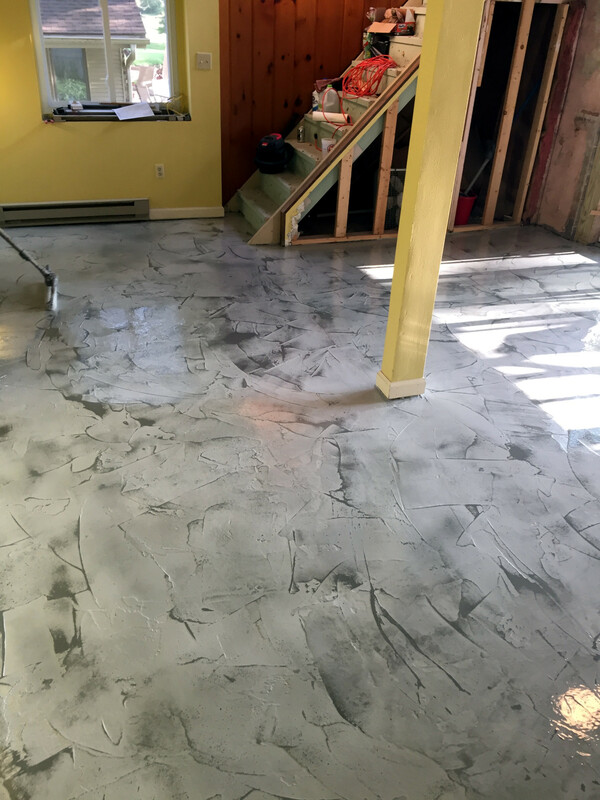 Dyed and polished concrete.